Roger 70 of Palmer, Texas died peacefully at Ennis Care Center with family by his bedside. He was under the care of Bristol Hospice Pathways since April 2018. Roger was born September 18, 1948 to Robert and Arleen (Polikowsky) Wehrs in Plainview Mn. He graduated from Elgin-Millville High School. Soon after he graduated, he was drafted into the Army and stationed in Germany. 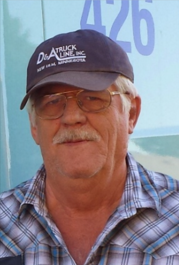 Roger worked for various farmers and trucking companies driving trucks his whole life. He worked for D&A Truck Lines of New Ulm, Mn. for the past 20 years until he retired in December of 2017. He was married and divorced twice. In his free time, you would find him at one of his sister’s homes enjoying a home cooked meal or enjoying the company of family and friends. Roger loved to watch his great-nieces and nephew play sports. Roger is survived by daughter Angie Wehrs of Stewartville, MN. Father Robert Wehrs of Rochester, MN. Five sisters Judith Ball of Elba, MN., Jerilyn Ramsey of Claremore, OK., Janet (Charles) Zarling of Rochester, MN., Cynthia (Robert) Burmeister of Tulsa OK., and Charlene Smith of Palmer, TX. Five nieces and nephews Christina (Jeremy) Bump of Claremore, OK., Timothy (Nesha) Ramsey of Bartlesville, OK., Sam (Cindy) Ramsey of Claremore, OK., Michael Zarling of Apple Valley MN., and Joshua Smith of Commerce, TX. Seven great nieces and nephews, Grace, Joshua, and Hope Bump of Claremore OK., Andrew and Aubrey of Bartlesville, OK., Chloe and Ella Ramsey of Claremore, OK. He is preceded in death by his mother and brother Michael. A special thanks to Bristol Hospice and Ennis Care Center for the wonderful care and an extra special and heartfelt thank you to Catrina for the excellent care you gave to Roger. A memorial service is being planned at a later date in Plainview, MN. Burial will take place at Grandview Memorial Gardens in Rochester, MN.